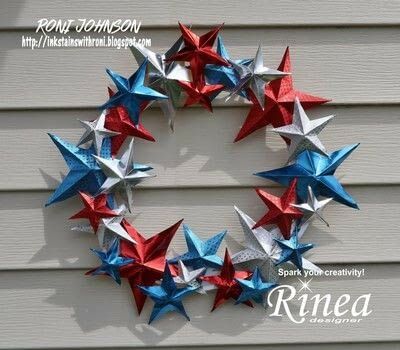 Celebrate your patriotism in style with this smashing wreath! 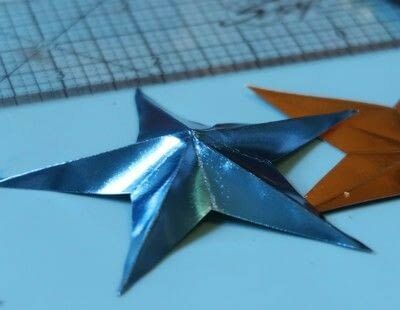 Rinea Foiled Papers make 3D Stars a breeze as it holds it's shape so well and stands up to all sorts of paper folding techniques. 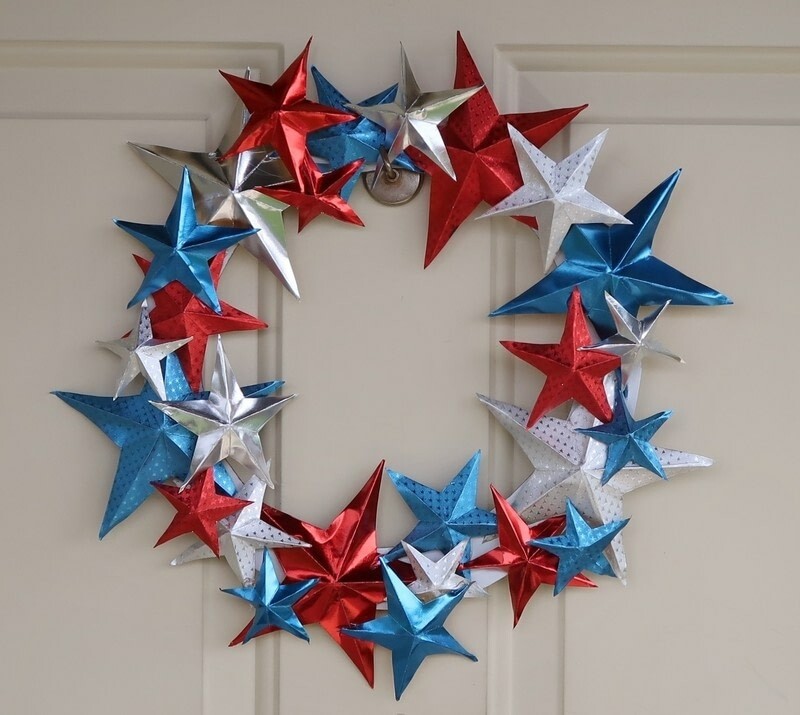 This easy to make wreath is a snap, you'll have a beautiful wreath in no time. 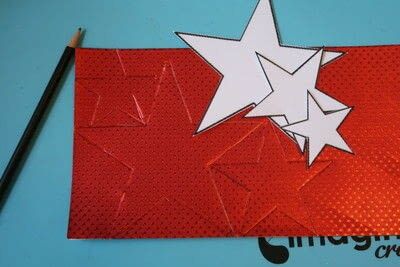 Print out 3 sizes of a 5 point star pattern; trim the stars from the cardstock. Trace the stars onto red, silver and blue Rinea Foiled Papers. 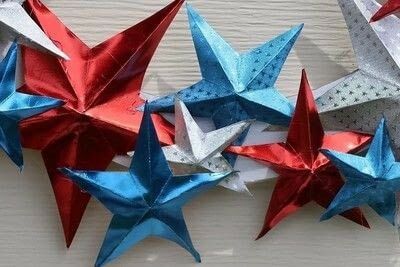 You will need 6 large, 8 medium and 10 small stars. Cut out the stars. Note - I stacked 3 layers of paper together and traced/cut all at the same time for convenience. You can diecut the stars if possible. 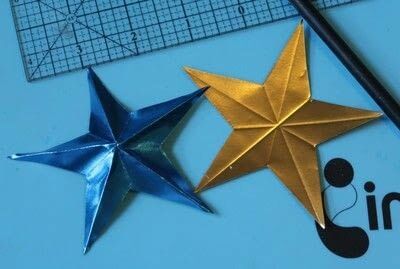 Use a ruler and dull pencil to make the folding scores on each star. You will draw a line from each point to it's corresponding valley as shown. To make the star 3D simply pinch the folds from the points to the center. I found it works best to work on 2 points at a time to help give the center the lift that is needed. Cut a wreath from chipboard. 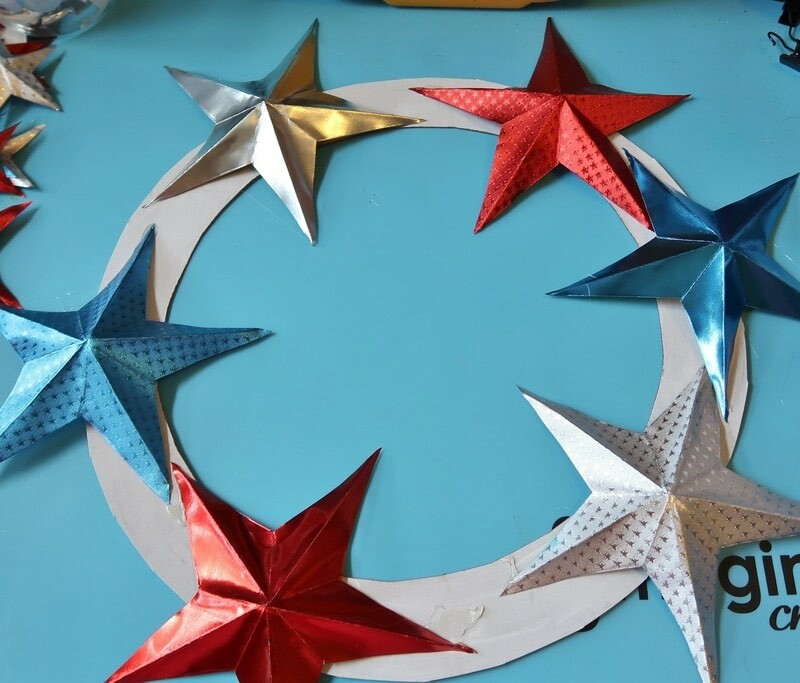 Use the glue gun to adhere the 6 largest stars to the chipboard wreath. Affix the medium then small stars building up the wreath as each layer is adhered. Add a bit of wire to the wreath for hanging. 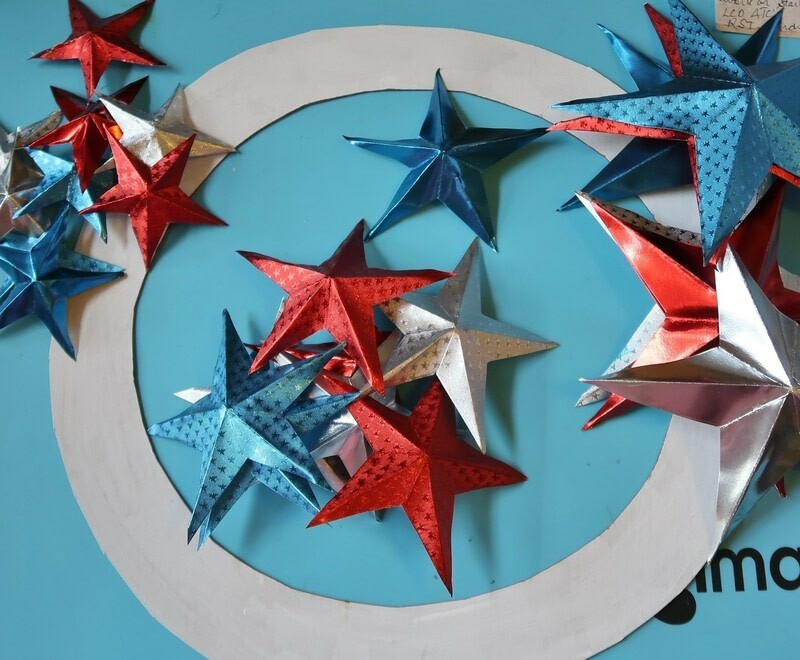 Enjoy the ol' red, white and blue!